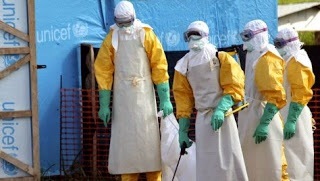 The Federal Government said on Tuesday that the Ebola Virus Disease, EVD, has now been brought under control in Nigeria. The Minister of Health, Onyebuchi Chukwu, disclosed at a press briefing that only one Ebola patient is now left in the isolation centre in Lagos out of the 13 earlier confirmed cases. He further said that all the 129 persons put under surveillance since the outbreak in Nigeria in July have passed the 21 days observation period and only one person is showing the symptom of EVD. “All 129 people under surveillance have completed the 21-day observation period and only a person is symptomatic and is being observed,” said Chukwu. The Minister assured Nigerians that the government would further work tirelessly to stop the spread of the deadly disease in the country. Chukwu added that two of the nurses who had contact with late Patrick Sawyer, the man who brought the disease to Nigeria from Liberia, were discharged from the isolation centre in Lagos on Monday. He further said only five deaths have been recorded so far. The Minister also disclosed that some screening equipment are being provided for the 49 land borders to stop the importation of the disease into Nigeria.